We're hiring! We are looking for qualified HVAC installers to join Team Logan. Maintaining your furnace is an essential part of keeping your home comfortable and efficient. At Logan Home Energy Services, we specialize in a full range of home heating services, including maintenance, repair, and replacement of furnaces and boilers. As a hardworking local heating contractor, we've repaired, replaced and installed thousands of heating systems and we're still going strong today. Our heating services will ensure that your system operates correctly and efficiently, making your home more comfortable and saving you money on heating costs. An old, inefficient, or damaged system has a significant negative impact on a home's value and will end up costing you money in the long run. Because we are a factory authorized dealer, we're committed to high standards of workmanship, attentive customer service, and reasonable prices. If you need service, repairs, or new installation for your home's furnace or boiler, call the experts at Logan Home Energy Services today! We've been keeping our friends and neighbors warm since we opened our doors for business. We offer free estimates on new unit installation in Winston Salem, Greensboro, High Point and throughout the surrounding areas. Keep your furnace running at peak performance with seasonal heating maintenance. Rely on our experts to inspect your furnace and provide an up-front estimate for repairs. Lower your heating costs & improve comfort with a new, energy-efficient furnace. Improve the performance & safety of your boiler with service and repairs. 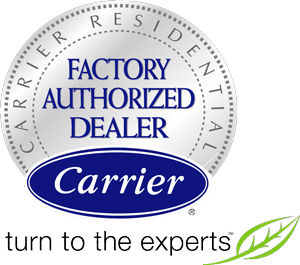 Your highly engineered Carrier® system is the sophisticated way to keep your home healthy and comfortable. Whether you live in a cool or hot climate, have an existing system or are building new construction, we're the experts to help you tailor the right synergy of heating and cooling products–giving your home ultimate comfort all year long. Comfort series heat pumps. Designed for reliability, efficiency, and affordability. Infinity® series heat pumps. Delivers the benefits of ENERGY STAR cooling and heating efficiency with quiet operation. Performance series heat pumps. A versatile and cost-effective option for your heating and cooling needs. Geothermal heat pumps. These water-to-air units are designed for home comfort through every season. Carrier® also offers innovate gas and oil boilers to provide consistent warmth for your home, as well as gas and oil furnaces that will keep your utility bills low. If you're looking for ease of operation and complete control of your home's climate, Carrier's thermostats and controls are perfect for every preference - whether you're looking for remote access, would rather not think about your heating and cooling at all with an automated system, or would like to specify the exact temperature for each room. A poorly functioning heating system can be a problem for any homeowner, but Logan Home Energy Services is here to provide professional repair services. Whether you have minor issues such as a clogged filter or require major furnace repair, you can count on us for a thorough evaluation and complete solutions. Our technicians can repair any type of heating system whether it's an older oil burning furnace or a modern geothermal heat pump. We provide thorough evaluations of your entire heating system and then recommend the right solutions for your needs. Our services will help keep your furnace running longer and more efficiently, helping to save you money on heating costs. We always advise our customers to pay close attention to any indication that their heating systems are not working properly. Your heater may still work, but if it has any of these symptoms it needs prompt attention - especially if you have an older system and/or a system that requires frequent repairs. No matter what type of heating system you have, it will eventually stop working and need replacement. If you have an old, inefficient heating system, a replacement will help you save money on your energy bills. At Logan Home Energy Services, we have installed and replaced hundreds of residential and commercial heat pumps, furnaces and boilers. Our experts will help you choose from a variety of heating systems to identify the best type for your needs. We provide complete installation and replacement services, ensuring you get the right solution for your home. If you need any repair, maintenance, or replacement services for your home heating system, the experts at Logan Home Energy Services can help. We offer complete evaluations and can handle any problem you may have. Call us today for a free estimate on heating system installation. We provide all our services in Greensboro, Winston Salem, High Point, Lewisville, Clemmons, Kernersville, Oak Ridge, Walkertown, Colfax, Pfafftown and the surrounding areas.